Limited Edition Halloween T-shirts! – Zombies, Run! 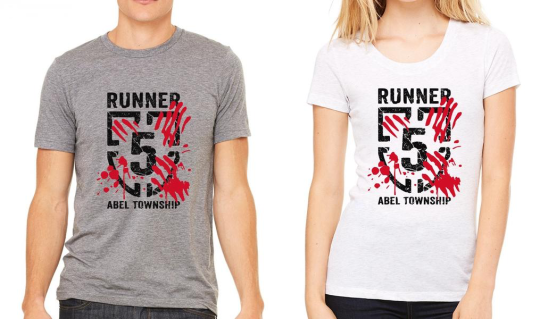 Halloween is around the corner, Runner Five. Flaunt your zombie-evading, sports bra-collecting skills with this Halloween themed Zombies, Run! t-shirt that’s back by popular demand! We have athletic and tri-blend cotton shirts, and even a running bib design! The shirts are available in limited quantities only, so execute a McShell maneouvre and get yourself one (or a couple) quickly! *If you’re in the US, order soon to receive by the 31st! Next Post Don’t Miss Out: 48 Hours Left!